Happy Flash Friday everyone! I know it’s been a while since I’ve actually had two Flash Fridays in a row. What’s even more mind blowing is that I should have one for next week too! Today’s update is about car emblems. I don’t mean stickers, but the plastic shapes and figures that people stick to the back of their car. 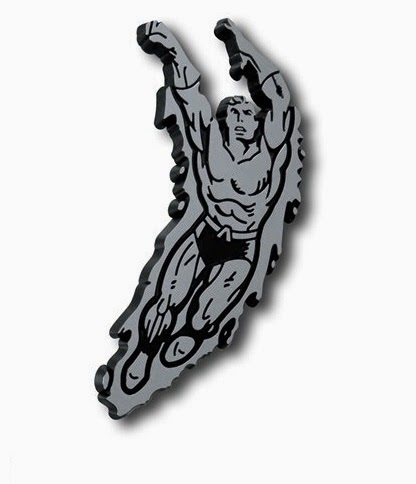 Things like the Jesus fish, Darwin fish, Spaghetti monster, etc… There have been a bunch of DC themed car emblems recently released and it will surprise no one that most of them are Bat or Super related. They did manage to get a Flash into the line though. 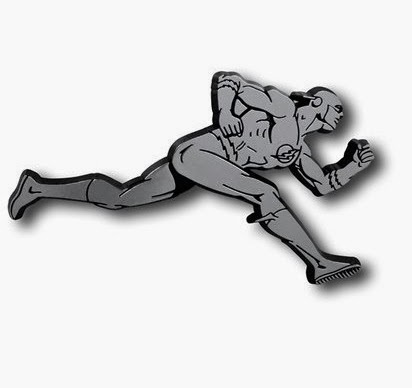 Instead of the more common “running straight at you” pose that is used on a lot of Flash merchandise this one goes for a side view. The emblem is about 4 inches long and close to 2.5 inches tall. The costume is a pre-New 52 Barry which is actually a plus in my book. I find it strange how often I’m still seeing pre-New 52 costumes used products. There isn’t very much more I can say about these; the cost around 20 dollars and you stick them to your car. I did also want to mention Aquaman’s addition to this line. Not because I want to make fun of Aquaman, but because I thought it was funny they still included the water lines around him. I’ve obviously been playing too much of the Marvel Lego game; the first thing I thought of when I saw him was the Human Torch. I wonder how well it would hold up if you stuck it on a boat.